43 rooms. Heated indoor pool and spa, cable TV with HBO and ESPN, wireless Internet, modem hookups. Free local calls. 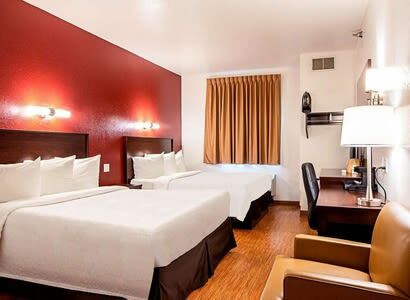 Guest laundry, pet-friendly, complimentary morning coffee, nonsmoking rooms, interior corridor with elevator. Microwave and refrigerator available for nominal fee. Senior discount. Convenient to beach, restaurants, bike/walking path, golf, casinos.